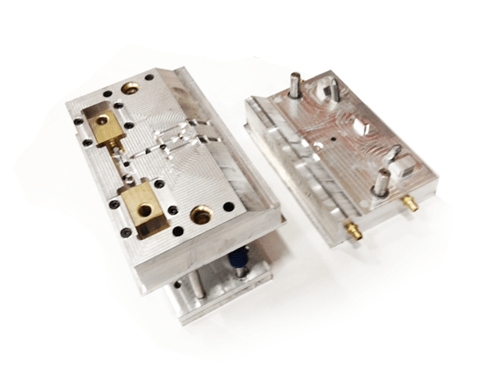 Our machine shop is top of the line and catered to building high quality plastic injection molds as well as molds for extrusion blow molding. We have over 25 years of experience in the development of plastic products. Our design and mold making team can take your idea and create it into a 3D CAD file using Solidworks modeling software. 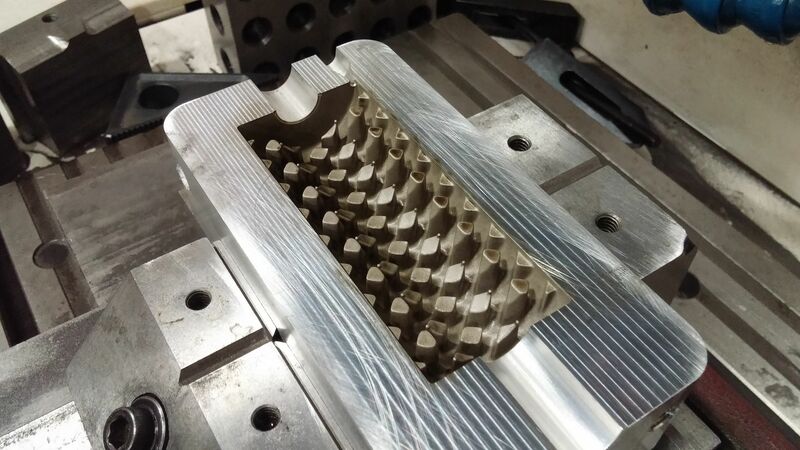 We then design the mold and adjust for the type of material for your specific application. 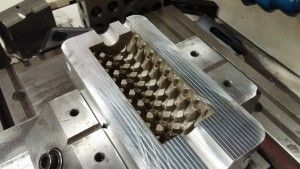 From there we use state of the art software such as Mastercam and Surfcam to machine the plates with high precision CNC mills to build your mold. QC7 mold aluminum- this material is a high impact aluminum, is quicker to machine and maintains CNC milling tool life. 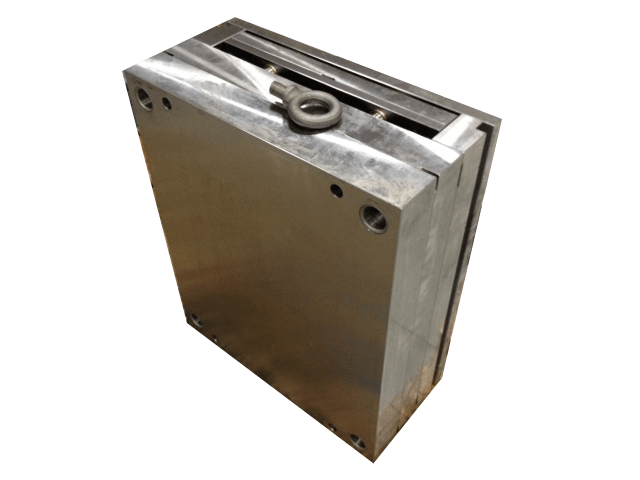 Pre hardened 4140 mold steel- this material is easy machining and the mold does not need to go through a hardening stage. It holds good tolerances without heat changes in tool steel hardening. Tool Steels S7, A2, D2, Stainless Steel- All these tool steels have to be hardened after machining to maintain optimum Rockwell Hardness. These different types of steels are primarily used for slides, cores and where durable strength is needed in the mold tool. Aluminum Copper- Used a lot of times for core pulls, slides and wherever there is motion inside the mold. Has optimum durability when used in friction with part. The machine shop is also equipped with CNC Mills, EDM sinker, wire EDM, surface grinder, polishing station and sand blaster. 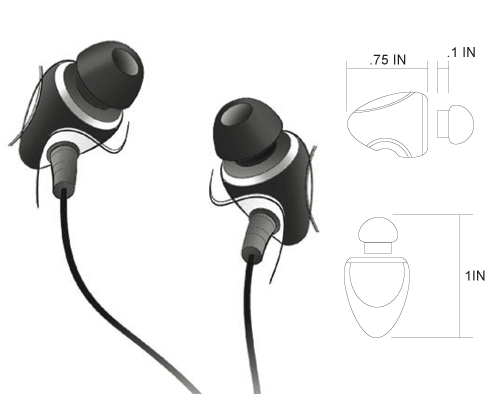 We take great pride in our work and aim to make your product work to your expectations. Aluminum is easy to manufacture but produces fewer parts, ranging from 300,000 – 500,000 parts before a new mold is required. Steel is more expensive to manufacture but yeilds over 1 Million parts per mold.